Samsung demonstrated the Galaxy S9 super slow-motion feature yesterday during the launch event for its new flagship smartphone. As expected, the handset is capable of capturing slow-motion video at an incredible 960 frames-per-second. This is made possible by Samsung’s new 3-stack ISOCELL Fast 2L3 image sensor with an integrated DRAM. Since this is a component that Samsung itself manufactures, we can expect to see the Galaxy S9 super slow-motion feature arrive on other devices as well. It may even land on devices from OEMs other than Samsung. 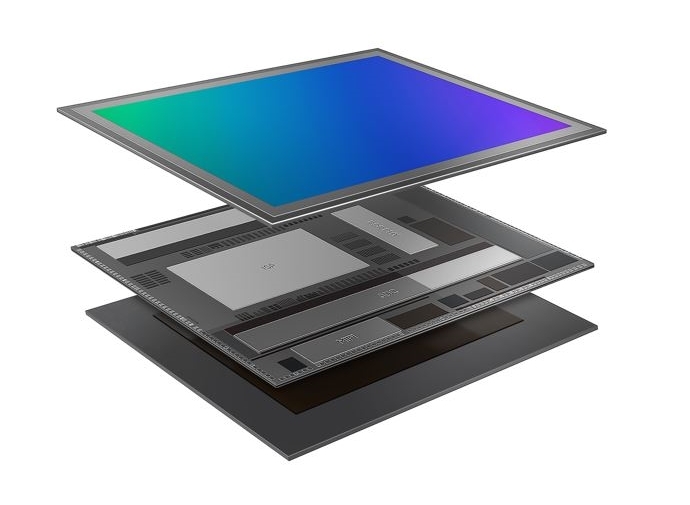 The 3-stack ISOCELL Fast 2L3 sensor is the latest addition to Samsung’s ISOCELL image sensor family. This 1.4-micrometer 12-megapixel image sensor has an integrated DRAM which delivers fast data readout to capture rapid movements in slow-motion and sharper still photos. Typical image sensors are constructed with two silicon layers which include a pixel array layer that converts light information into an electric signal and an analog logic layer which processes that signal into digital code. That code is then sent via MIPI interface to the device’s processor for further processing before it’s saved to the DRAM. These steps work very well to implement features like zero-shutter lag but they can’t allow the device to capture super slow-motion video since it requires image readouts at a significantly higher rate. Samsung’s ISOCELL Fast 2L3 sensor is a 3-stack CMOS image sensor that has been designed with Samsung’s two-gigabit LPDDR4 DRAM attached below the analog logic layer. This enables the sensor to temporarily store a large number of frames taken in high speed quickly onto the DRAM layer before sending them out to the device’s processor. This implementation allows the sensor to capture a full-frame snapshot at 1/120 of a second and to also allow super slow-motion video recording at up to 960 frames per second. Fast readout also improves the photography experience considerably since the sensor is capable of capturing an image at very high speeds, it reduces image distortion when taking a picture of fast-moving objects like a car on a highway. It supports 3-Dimensional Noise Reduction for clearer pictures in low-light conditions and real-time HDR imaging as well. The Samsung ISOCELL Fast 2L3 image sensor is now being mass produced. The Galaxy S9 and the Galaxy S9+ are the first devices to feature this new sensor which will also be sold to other device manufacturers this year. Bye bye samsung , hello Huawei. You only give facelifts to you loyal customers , and empty their pocket.